Dr. Oz has absolutely gone haywire. 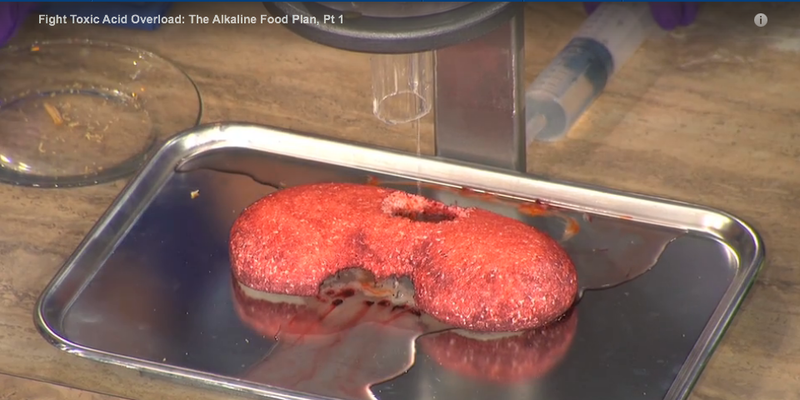 In pushing the "alkaline" diet he takes a piece of kidney and pours acid on it to show how it disintegrates and infers this is happening in the body. This is insane. The pH of the blood is maintained at about 7.35 no matter what the diet. Oz has lost all perspective and is falling deeper and deeper into the abyss of quackery.